The Fiber Broadband Association offers three types of memberships: Premier, General or Associate. Within each membership type you can be a North America member, a LATAM Chapter member, or both. We are agnostic with respect to ownership structure – so if you are a network operator we welcome incumbents, munis, utilities and competitors. Webinars – register for our informative members-only webinars. Only members can access webinars after they are presented. Submit a proposal to present a webinar. Access to the Association member data base for networking and business development. Certification programs designed to enhance the Fiber Broadband brand and standards – members receive 15% off on all Light Brigade training courses. Member discounts on attending and exhibiting at the Annual Conference and Trade Expo. 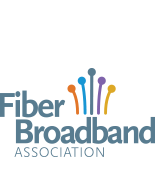 Visibility - use our downloadable member logo to show you are part of the Fiber Broadband Association on your website and marketing materials. Keep up to date on key public policy issues impacting the industry with our Fiber Connections weekly newsletter and email updates. We are your ears and eyes in Washington. Annual Conference Priority booth assignment, speaking and sponsorship opportunities. A 25% Discount on booth space and discounted registrations. Access to members only sessions. Only Premier members can serve on and vote for the Board of Directors. The Association’s Board and President rely on the advice and counsel of Premier members throughout the year, which culminates in an intensive two-day strategic planning session during the fourth quarter of the year.